The six-digit odometer used on the Jambo is very important because it does not rollover. Owners of CJs prior to 1982 often claim very low mileage, when, in fact, the milage is 100,000 miles higher. Buyer beware!!! The other problem with pre-1981 CJs is that they did not use a standarized 17-digit VIN and cannot be checked in VIN databases. In September of 1979 (within the 1980 model year) the NHTSA required all speedometers to max out at 85 mph and add special emphasis to 55 mph, which was the federal maximum speed limit. 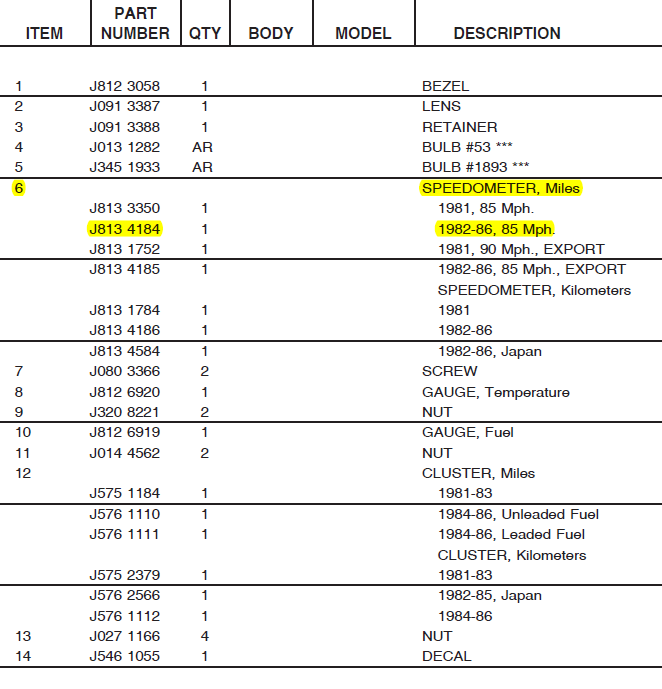 We are not sure if Jeep made this change within the 1980 model year or waited until the 1981 model year. 1976-1980 speedometers max out at 90 mph. Prior to 1982, Jeep odometers rolled over after 99,999 miles. In 1982, they went with the six-digit odometer. The sixth digit is narrow and can be hard to see if it has not rolled to 1+. This change is important and a point in favor of 1982-1986 CJs because it is easier to verify their mileage--especially considering the change to the 16-digit VIN was made in 1981. 1982 is the first year that you get a six-digit odometer and can verify miles/history using Carfax. 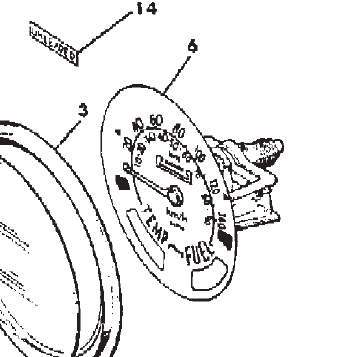 The part number for the Jambo speedometer is J813 4184.